New powerful multitrack audio recorders with built-in USB audio interface designed specifically for musicians recording with or without a Digital Audio Workstation (DAW). The MixPre-3M puts the fun back into music recording! This 2-in-1 device gives musicians a studio-grade multitrack recorder and high-performance USB audio interface to help capture each moment of inspiration. Combining the ease of dedicated hardware recording with the essence of computer-based music production software, the MixPre-3M is setting a new standard for what’s possible from an audio recorder—igniting musical creativity anytime and anywhere. The MixPre-3M’s musician-focused features simplify typical computer-based music creation by removing barriers to capture ideas and songs. The MixPre allows you to simultaneously record, playback, mix, monitor, layer, and overdub up to 12 tracks— all without a DAW! And if you need more , the bounce feature helps free up tracks. The MixPre-3M features a built-in metronome to help keep your performance in time, while premium-quality, silky-smooth reverb and vocal air effects add depth to your recordings, and can also inspire a great performance. The vocal air effect is an easily dialed-in combination of EQ and compression that results in a breathy intimacy to vocals, popular today with singer/songwriters. When you record music you will also appreciate the convenience of features such as punch in and out, and ability to locate to cue points. The MixPre-3M features three, high-performance, ultra-low-noise Sound Devices' Kashmir™ microphone preamps. These custom-engineered preamps feature discrete, Class-A front-ends with analog limiters offering the highest quality, distortion-free audio recordings that far surpass those of other recorders using simple off-the-shelf, IC-based mic preamps. Even the finest details of your recordings will be captured, revealing the feel and emotion in your performance. Combined with our super low-noise preamps, you are free to focus on your performance rather than your levels. Turn your amps up to 11 as these preamps are virtually unclippable! As adept in the studio as on the road, the versatile MixPre-3M operates as a 5-in/2-out USB audio interface with quality that rivals a stand alone converter paired with boutique preamps. The MixPre-3M features the unique ability to simultaneously record to an SD card while streaming audio via USB, ideal for recording computer-based software instruments, or backing up your takes while you’re tracking to a computer. As a DAW interface, the MixPre-3M truly streamlines a musician’s typical track-to-edit workflow. Not only is the MixPre-3M great for creating songs, it’s also an aide for live performances. Whether being used as a mixer to feed a PA for smaller ensemble performances, or for playing back pre-prepared multi-channel backing tracks for your solo performances, the MixPre-3M is perfect for live gigging. 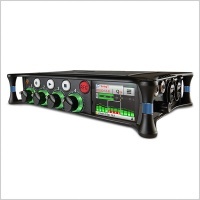 The MixPre-3M offers three balanced XLR Mic/Line level inputs (each with 96dB of gain, 48v phantom power, low cut filters and limiters), a 3.5mm 2-channel Aux/Mic input, and four USB inputs from a MAC or PC. You can route any of these physical inputs to any channel knob, so you don’t have to have to re-plug inputs when you want to record an input to a different track. Metronome can also be selected as an input, so you can record its click to a discrete track. The MixPre-3M’s unbalanced 3.5mm output and stereo headphone output can be individually configured, providing a wealth of options for monitoring. The MixPre-3M’s musician-friendly, touch-screen interface, and dedicated mixer knobs provide easy access to the tools you need to quickly get those vocal melodies, instrumental hooks, and rhythms down. At any time, share your multitrack song with other musicians, so that they can collaborate using their MixPre-3M or the DAW of their choice. Once you’ve completed laying down and overdubbing tracks, get that final mix in the bag using the front panel knobs to control mix levels, pans, solos, mutes, reverb, air, and more. When you’re happy with the mix, it’s time to share with fans and friends. Export the mix to SD card or computer as a stereo WAV or AAC file, ideal for emailing or uploading to a website, social media, or music sharing service. 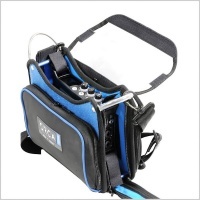 Like all Sound Devices products, the MixPre-3M is extremely durable. 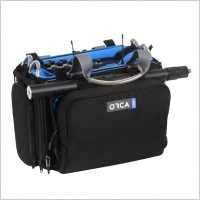 Constructed with a die-cast aluminum chassis, it is both lightweight and incredibly robust. While most audio capturing devices are meant to sit in a studio, its ultra-compact size makes it the perfect musician companion – on the road or in the studio. When on tour or at a gig, you need a recorder that’s portable and convenient to power, which is why the MixPre-3M has multiple powering options. 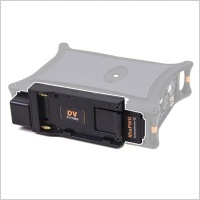 It can be powered from AA batteries in a convenient detachable sled of eight cells, or an optional sled that offers powering from up to two hot-swappable Sony L-Mount Li-Ion batteries. Additionally, the entire recorder can also be powered from a laptop’s USB-C or USB-A connectors offering convenient connection and powering with just one cable. For applications where AC is available, Sound Devices offers an AC wall adapter as well. 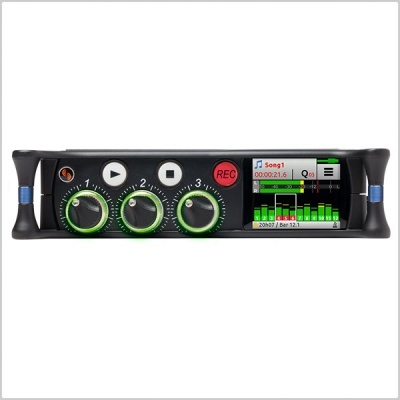 The MixPre-3M incorporates a mixer that offers easy-to-read ring LEDs and LCD metering with limiter activity for multitrack, mix, and USB return metering. The MixPre also includes a powerful and clean custom-designed headphone amplifier enabling you to hear your recordings in their full glory, and efficiently monitor with a wide range of headphone impedances. Exceptional audio quality – featuring ultra-low-noise Kashmir mic preamps (four in the MixPre-6M, three in the MixPre-3M) handcrafted by Sound Devices. These preamps feature discrete, Class-A components with analog limiters offering musicians and songwriters the highest quality, distortion-free, musically-lush audio recordings. 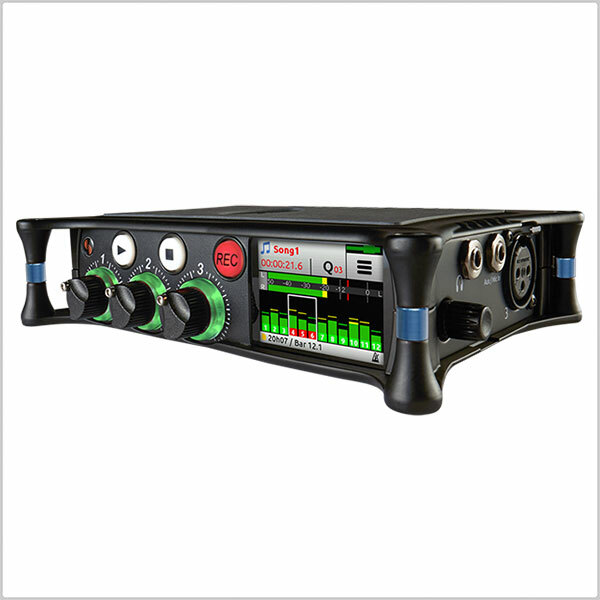 Song creation – the MixPre M-Series has the ability to simultaneously record, playback, mix, monitor, layer, and overdub up to 12 tracks, with the bounce feature helping to free up additional tracks. 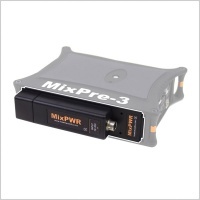 The MixPre-6M can record up to four tracks simultaneously, while the MixPre-3M can record up to three. Other features include vintage reverb and vocal air effects, metronome, punch in and out, and the ability to locate to cue points. 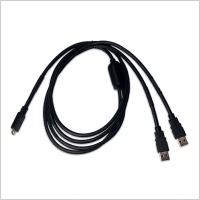 Multi-track USB audio interfaces – stream up to eight tracks (MixPre-6M) and five tracks (MixPre-3M) of audio for a Mac or Windows computer at up to 96k. They also feature the unique ability to simultaneously record to an SD card while streaming audio via USB. Mixer for live performance – feeds directly into a PA and adjust levels, or playback pre-prepared multi-channel backing tracks for solo performers. 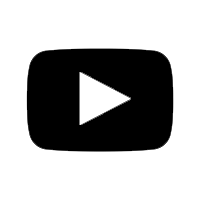 Easy file sharing – musicians can export their mix to an SD card or to a computer as a stereo WAV or AAC file, ideal for emailing or uploading to music sharing platforms. Anytime, anywhere powering – featuring convenient detachable sleds for AA batteries (four or eight) or hot-swappable Li-Ion batteries sleds. 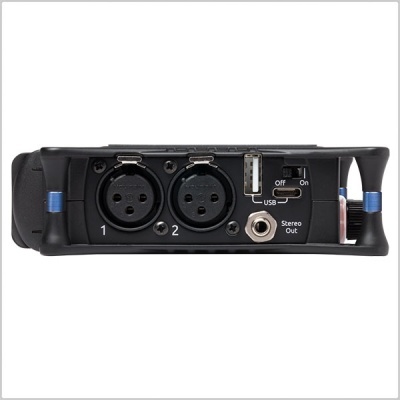 The MixPre-3M and MixPre-6M recorders can also be powered via USB-C from a computer or included MX-PSU power adapter. 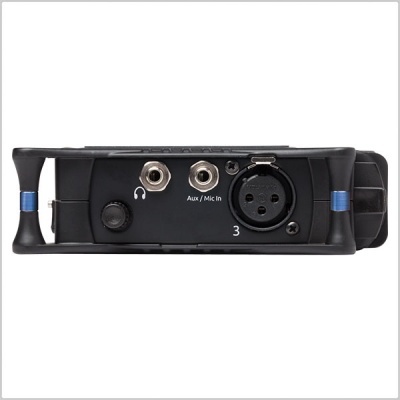 Versatile I/O routing – the MixPre-3M offers three XLR balanced Mic/Line level inputs. 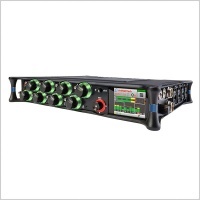 The MixPre-6M has four balanced XLR/TRS combo Mic/Line level inputs. Each input provides 96dB of gain, 48v phantom power, low cut filters and limiters. Additionally, both recorders have a 3.5mm 2-channel Aux/Mic input, USB inputs from a MAC or PC (two for the 3M, four for the 6M), and a 3.5mm stereo output. Musician Plugin - For MixPre-3, MixPre-6 and MixPre-10T owners, Sound Devices has created a studio-grade Musician Plugin adding a new dimension of recording capabilities. For $99, users receive all the musician-inspired features that are standard on the MixPre M-Series models, including overdub, remix, track laying, reverb, metronome and more. Plugin sold direct from Sound Devices. 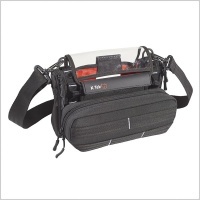 All inputs fully RF-filtered and overload protected. 40Hz to 160Hz (adjustable), 18 dB/oct. First stage analog, subsequent stages digital. Limiter at all gain stages, range > 40dB. First stage analog, subsequent stages digital. All specifications at 48kHz sample rate unless otherwise noted. Specifications are subject to change without prior notice.